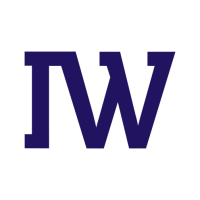 BYTE -- I found a great way to convert Mac-native PNG files and other image types (including PICT, TIFF, BMP, GIF, JPEG2 and single page PDFs, among others) into JPEG. 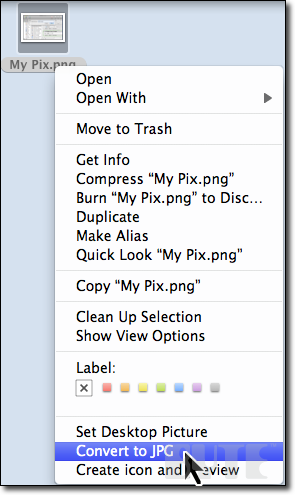 Here's how to add the item Convert to JPG to the Context menu on the Mac. 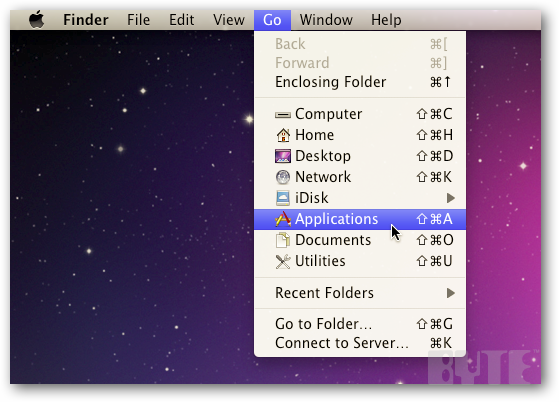 First, open Automator by selecting it from the Finder Applications window. Click on the Go dropdown. Select Applications. Select the Service template from the template dialog box that opens. You also can access this via File>New. Click Service. 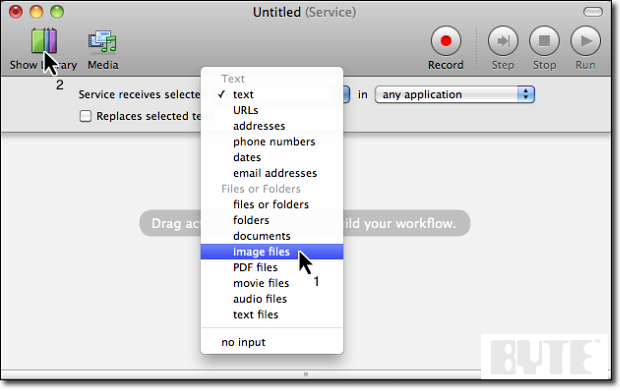 At the top of the window, select Image Files from the Service Receives Selected Drop Down menu. Then select Show Library at the upper left corner. Click Photos in the left Library Pane. 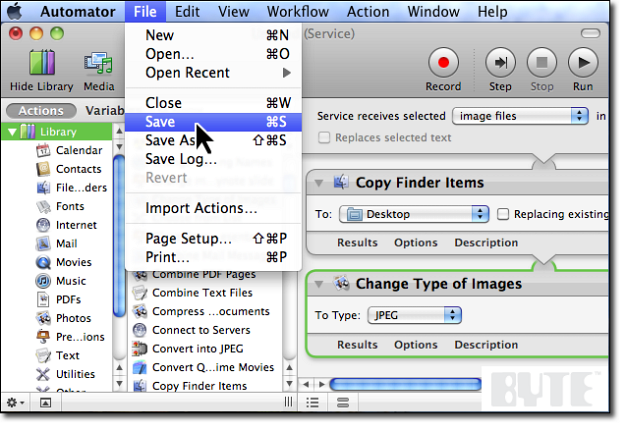 Select and drag Change Type of Images from the right Library pane to the workflow space. 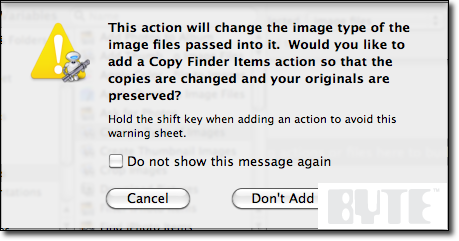 Once you release the Change Type of Images library item, a dialog will ask if you want to preserve your originals. I say do it. Click Add. 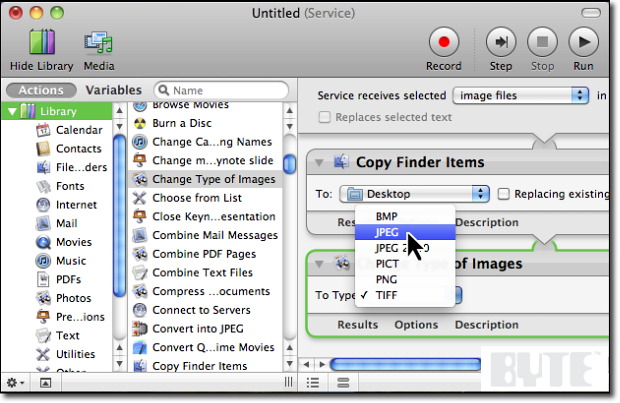 Now under Copy Finder Items, select JPEG from the Desktop dropdown menu on the Copy Finder Items window. At the top of your screen, click Save from the Automator File Menu. Type in a short name for the service you just created. I typed JPG Convert. Click Save. You did it. Now whenever you select an image file and right click on it, you'll have the menu item there for easy conversions of most popular file formats to JPG. The new file will show up on your desktop. 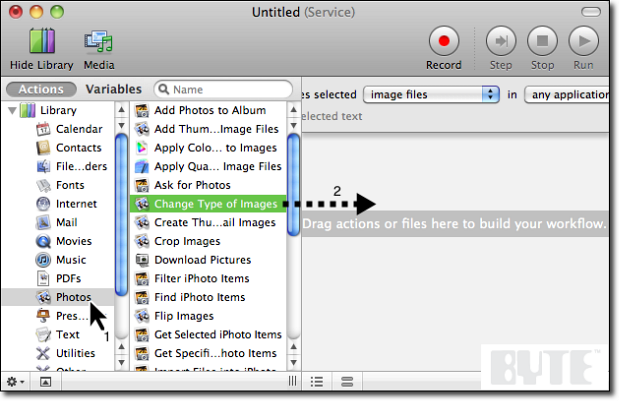 Note: The example above shows applying the service to a picture on the desktop, but you can also apply it to pictures in a Finder window. 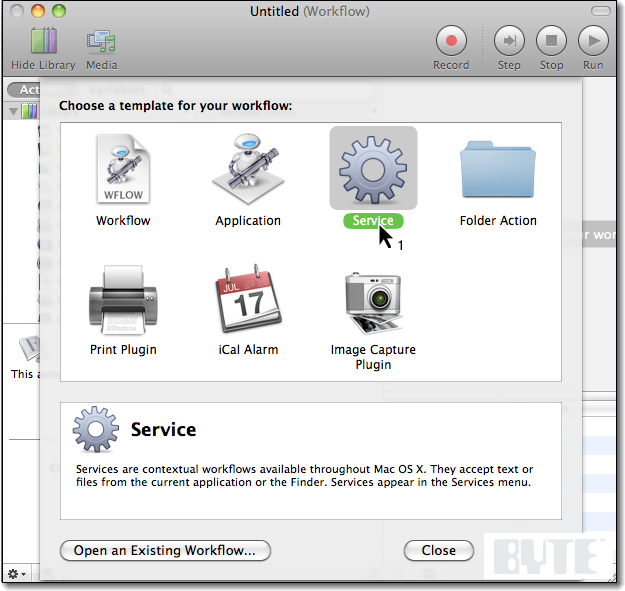 The Automator workflow file that makes this happen is stored under Users>[Your User Name]>Library>Services. Put your name in the path. 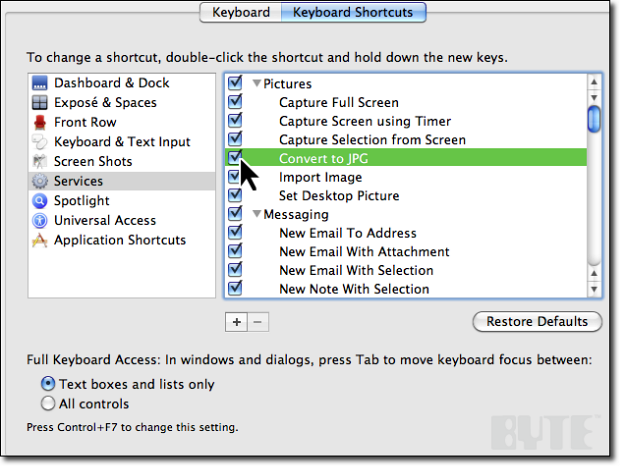 If the service doesn't show up in your context menu, open System Preferences and select Keyboard>Services. Scroll to Pictures and check the box next to the menu item you just created, Convert to JPG. 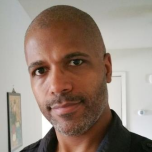 Based in Blanket, TX, Duane Craig is a senior editor at BYTE, and a freelance writer and editor, content creation and BYTE's How To section. Follow him @DuaneCraig and email him at [email protected]. It's so nice when people post helpful solutions like this that actually work! You just saved me a few hours of rework and frustration!